Before buying a car, you always want to protect yourself from future troubles. This is especially true of used cars. To do this, please test the chosen car according to its identification code, also called the VIN-code. • Access to the Internet. The identification code is assigned to each vehicle at the time of his descent from the conveyor of factory. This unique alphanumeric combination, consisting most often of 17 characters, you can get a lot of information on the desired car number on the websites providing such services. 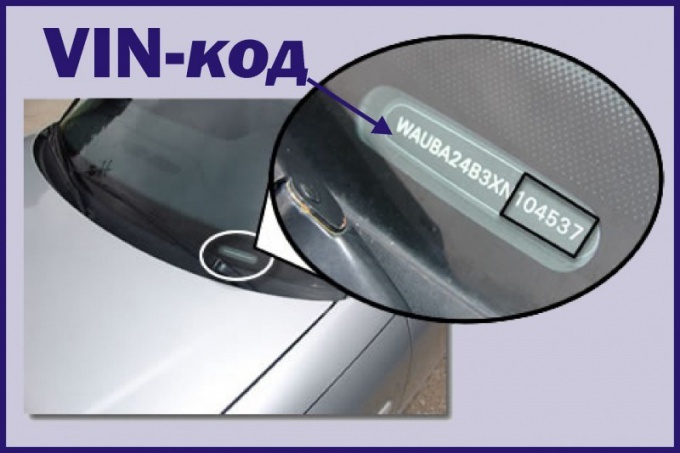 In the VIN-code car you can see the date and country of its production, test equipment, and get information about what is auto pawned or stolen. 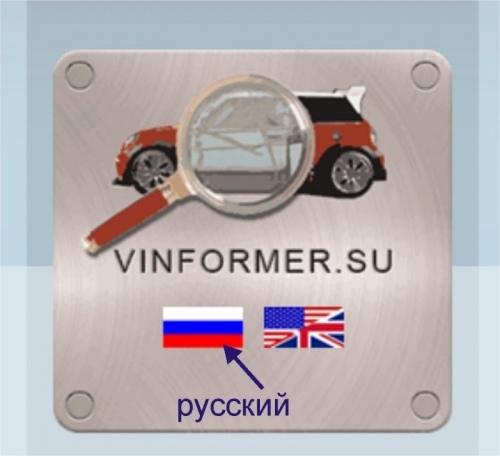 To do this, use the services of the portal, proven as the most frequently updating their database on cars, for example, www.vinformer.su. When you log on to the website, select Russian language for more information by clicking on the image of the Russian flag. In the menu the following window will be presented a list of conditions for which you can make interesting car by VIN-code. On request "VIN+equipment" you will receive information about the date and place of issue of your car and its equipment. When you select that row in the list, click the option "Full report" ("Full Report"). In the next window type in the desired string, the VIN code, do not forget that the letters should be capitalized and written in Latin. Enter symbols on the picture in the box below and click "Get report". A few seconds in the next window you will be presented a report on the decoding of VIN-code, which you can save and print. For information on the theft, use the links to the most famous database for hijacking AutoCheck and Cariax. To do this, choose in the menu of the main window on the left of the active link "Cariax/AutoCheck". Enter the VIN-code and the characters from the image into the right window and get the report. 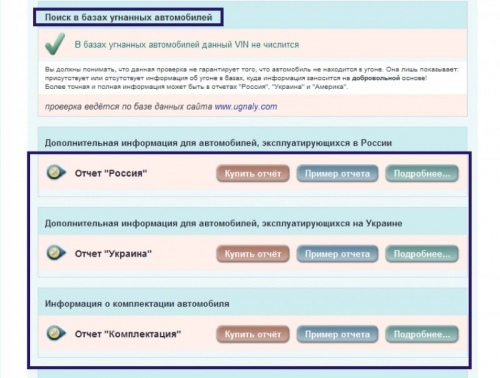 In the results window you will be offered an additional paid service check VIN codes of vehicles operated in Russia and Ukraine. You can order a paid report by clicking "Buy report" and obtain information about this service by clicking on "read More". 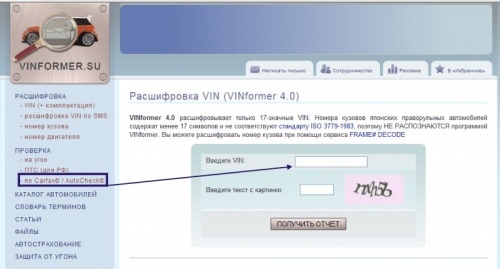 The portal also offers Vinformer punching VIN-code the car for other databases for theft and constructive total loss. To do this, select the active link "Check for theft", fill in required fields and get a report that can be saved and printed out. 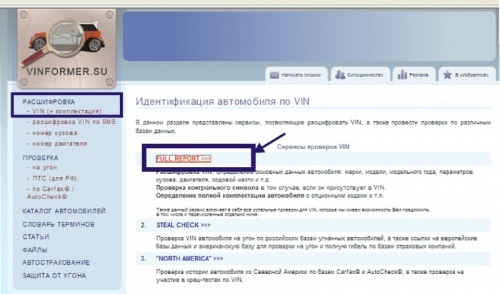 To check car by VIN-code in its legal purity offers www.auto.ru. 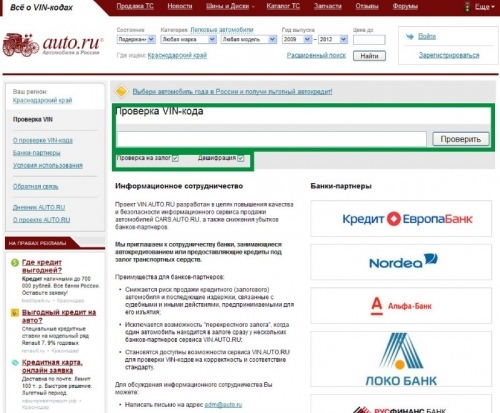 Through close collaboration portal with many banks on the website you will be able to check via the VIN-code, not whether there is a car in pledge for it or not fully paid the loan. To do this, select in the main menu of the website the link "Check VIN", select in the following window check the "Check Deposit" and complete the information for VIN. Get a report and print and retain a copy. The more information you will get, punching machine for VIN code, the better you will protect yourself from possible trouble when buying a used car.